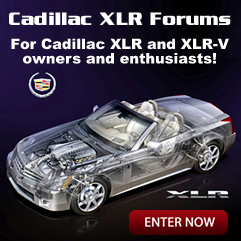 If you're an XLR Net forum member, you can login to the forums below. If you're not a member, you're welcome register here for free! The window sticker below is a facsimile of what the real window sticker might look like. We are not responsible for the accuracy of the numbers and details below. PVI - Primary Vehicle Identifier: Also known as the "Job Number" - the number assigned to the vehicle while being built and prior to the VIN. ,b>05-23-2017: Listed for sale by Streetside Classics of Glendale, CO with 35,243 miles on the odometer and three previous owners listed. 10-20-2015: Listed for sale by Mercedes-Benz of Denver of Glendale, CO with 29,554 miles on the odometer and two previous owners listed. 08-26-2013: Listed for sale by Rickenbaugh Cadillac of Denver, CO with 26,896 miles on the odometer and at least one previous owner listed. 11-05-2010: Accident reported in Oklahoma involving right rear impact. *IVH is not the definitive source of GM Vehicle RPO information and is intended for service reference only. Should there be any questions about the vehicle's original build or RPO information please refer to the original vehicle invoice or window sticker. The XLR Net does not have the resources to validate or confirm information provided to and for this Registry. Information provided in this Registry is as accurate as the information provided to us. It is not the intent of the XLR Net to document fraudulent data, nor do we have the expertise to question beyond reason, information provided. The XLR Net does due diligence to accurately document the Cadillac XLRs listed in this Registry, but does not, nor will the XLR Net advise, inspect or arbitrate information provided.